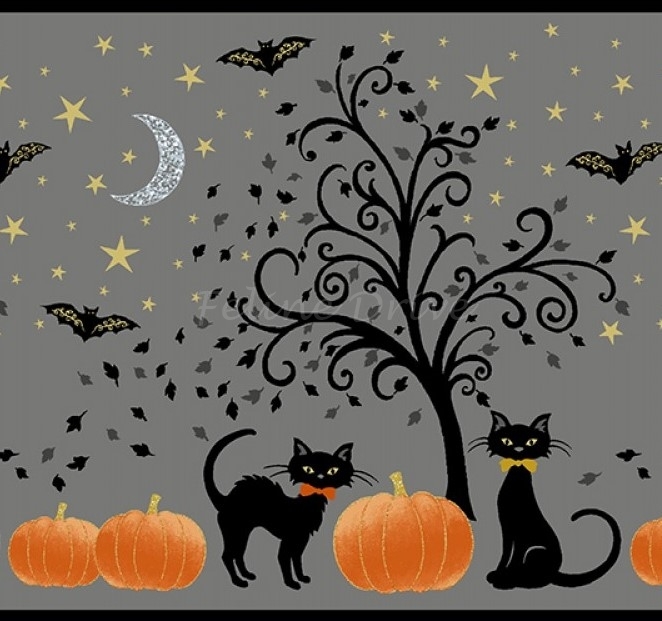 Midnight Spell is a gorgeous Halloween collection with sparkling prints and traditional colors. 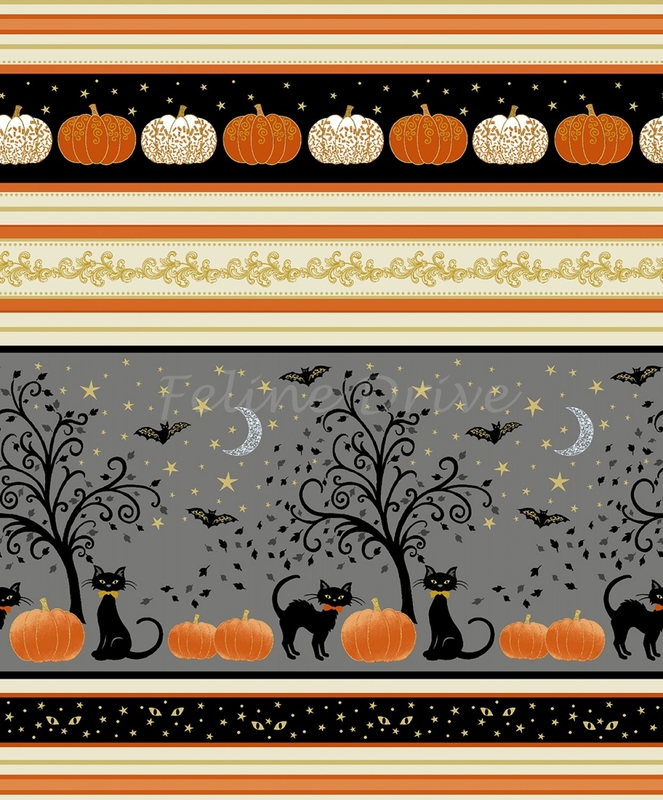 This fabric is a border stripe featuring rows of pumpkins, spooky eyes, and cats under trees and flying bats. Gold metallic highlights. Print Size:Stripe with trees and cats is approximately 4.5" wide.